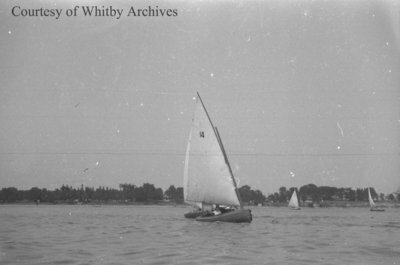 Black and white negative of sailboats on Lake Ontario. The number 14 is on the sail on the boat in the centre of the photograph. Sailboats on Lake Ontario, c.1937, Marjorie Ruddy. Whitby Archives A2013_040_689A.